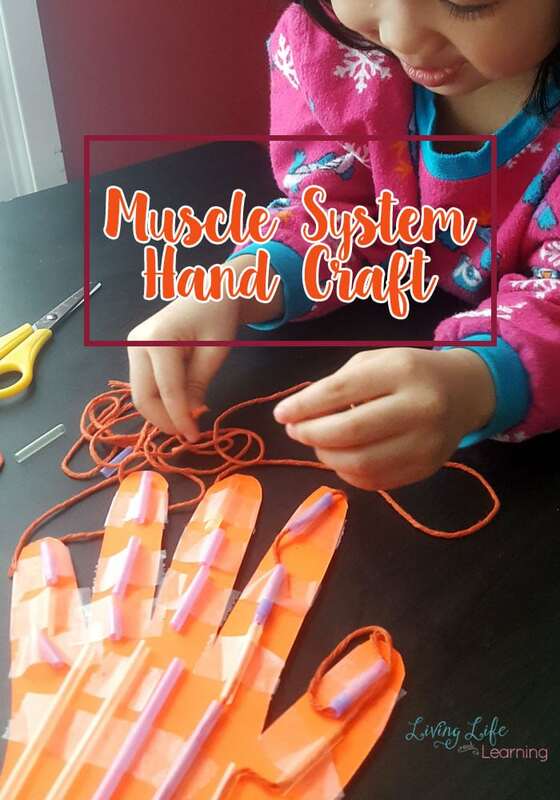 If you’re studying the muscle system or the skeletal system this year, you have to try our muscular system hand craft with your kids. 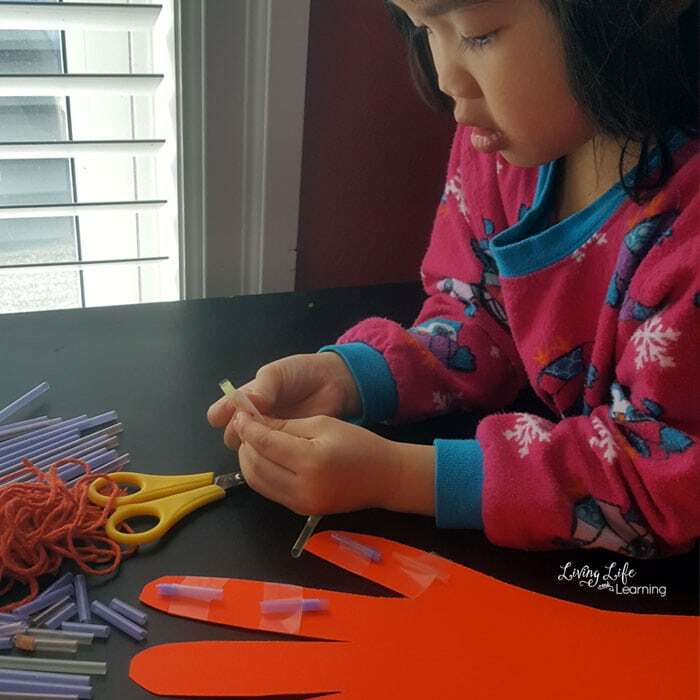 My daughter saw her brother create one from our homeschool co-op class and she wanted to make her own hand. Of course, it was used to hit each other with it afterward but apparently, that was very exciting for them. 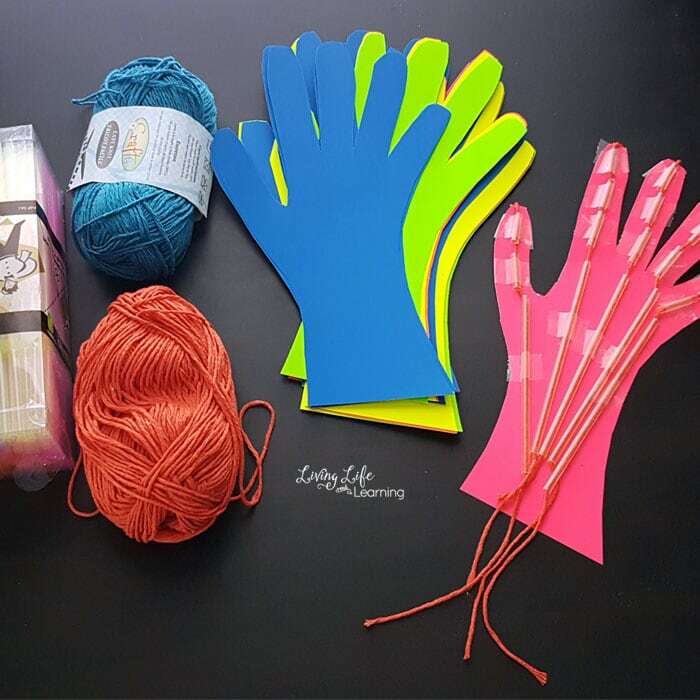 They will absolutely love making this Muscular System hand craft for kids! This was coincidental because the third month of the Tinker Crate subscription box also lets you craft a bionicle hand. 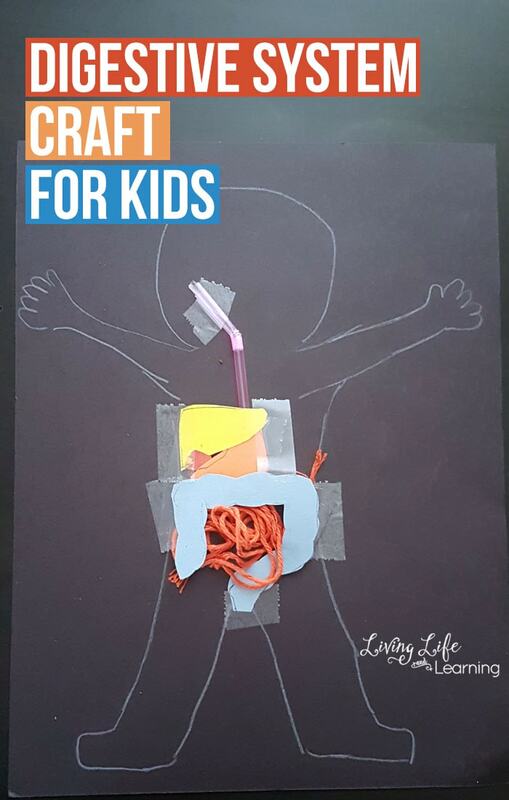 This gave us a chance to work on it twice and my son learned even more with Tinker Crate after going over the human body with me. Cut three straw segments for each finger and two for the thumb, we used the long portion to go down the hand to the wrist. 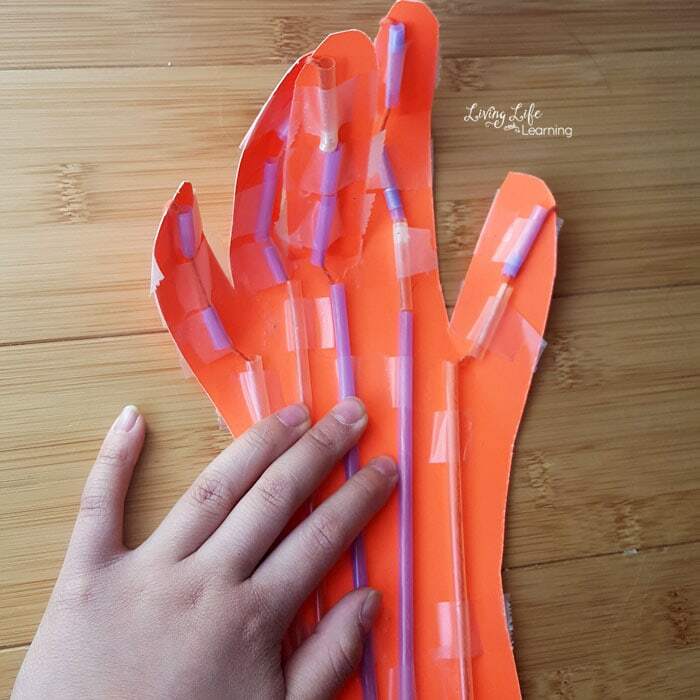 Line up the straw segments on each finger, make sure they are aligned and tape them down without covering the ends. Tape the yarn to the back of the hand and then thread it through each finger segment down to the wrist. This is a wonderful fine motor activity for kids since you have to thread the yarn through the straws. My daughter did most of it but had some trouble with the longer straws and got tired and needed my help which I was glad to do. Our hands have been well loved as there are starting to rip, you can also do this with a thicker cardboard if you’d prefer something more sturdy. Our students adored this craft and the other parents were impressed with what their kids had retained from our class. It’s a wonderful feeling to know that the students are actually listening when I’m talking, lol, because it never feels like that in class. 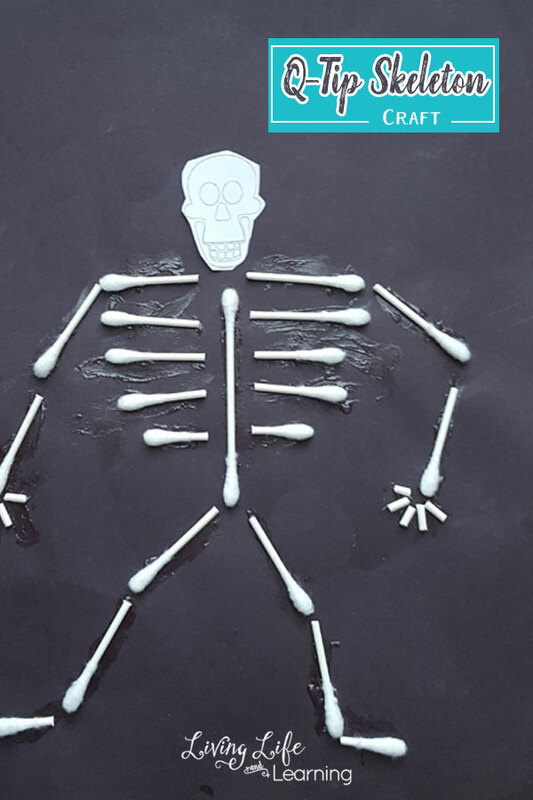 Excellent ideas – the hands, as well as the skeleton! Thank you so much! You’re welcome, glad you like them.